I'm by no means an expert when it comes to beauty, but I love playing around with new products and wanted to share this mini editorial we shot during a rainy day in Miami starring my latest lipstick discovery, Burberry Kisses. 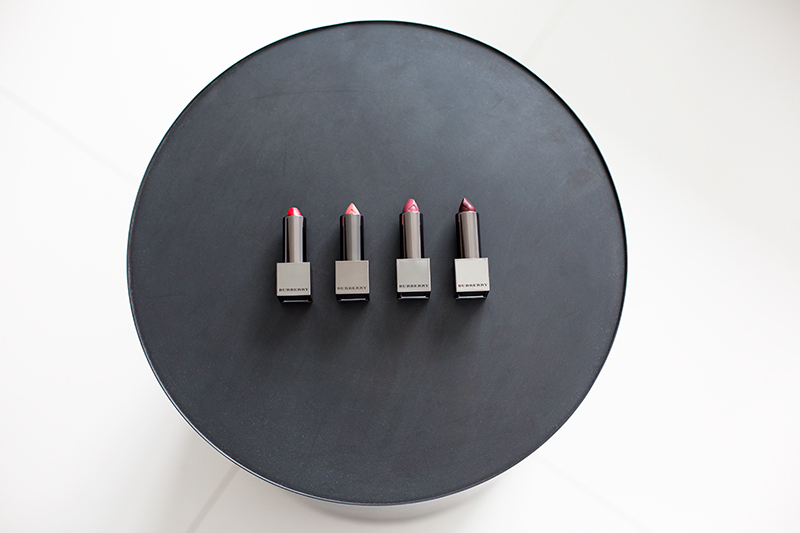 These lipsticks are not only pure eye candy (I'm probably not the only one who's a total nerd when it comes to packaging), they're also the perfect day-to-night accessory as the light-weight formula is buildable. One swipe gives you a 'barely there' natural tint that transforms into a beautiful, bold hue by adding an extra layer. All of the 28 shades are inspired by tones in Burberry’s ready to wear collections and my favorite is the gorgeous Military Red! Which one is yours?